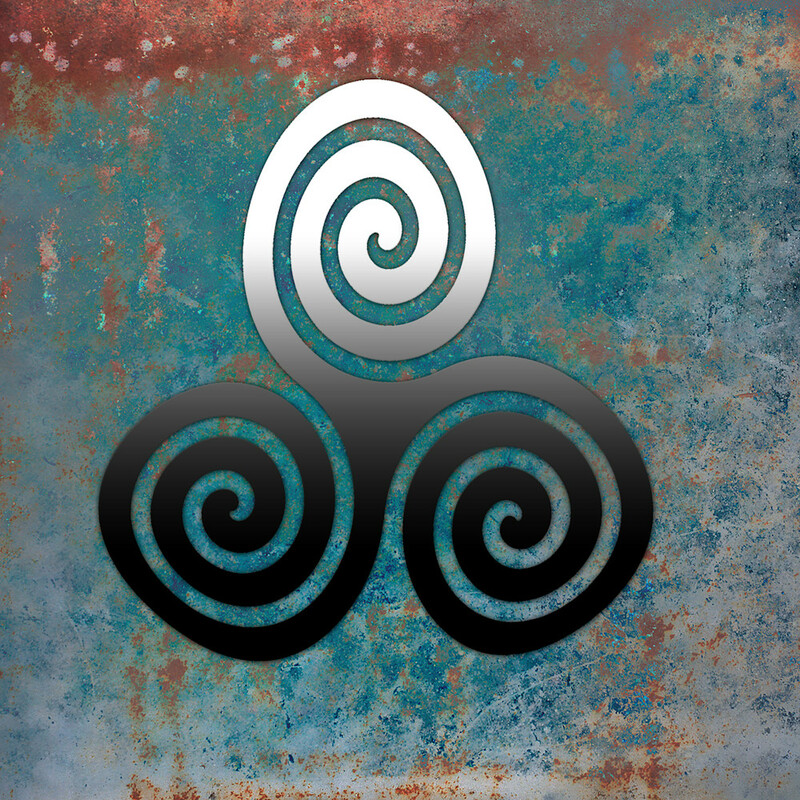 Possibly one of the most recognizable symbols of Celtic art the triple spiral is a pre-Celtic symbol found on several Irish Megalithic and Neolithic sites, most notably inside the Newgrange passage tomb, on the entrance stone, and on some of the curbstones surrounding the mound. It has acquired many meanings throughout the centuries but my favorite is how it symbolize's female energy, fertility and womb. One of my most popular pieces this seems to resonate with people. Its available in a variety of sizes and formats including canvas metal and framed art prints. My work begins with something I’ve painted or drawn in my studio then scan into my computer to digitize it. This procedure allows me to combine this with photographic images that I’ve shot or I can add layers or even duplicate what I’ve scanned and redraw it or paint it in one of the programs. I love being to experiment and expand on my original art.